8 NGOs from all corners of the world have been selected to become partners with Peace and Sport! All of the selected organizations focus their work and efforts in the development of peace through sport and fit into the vision of Peace and Sport! These NGOs implement sport as an effective instrument to tackle social issues affecting boys and girls around the world. By signing new partnerships with these 8 organizations, Peace and Sport aims at improving the quality of their sport programs, but also at applying several sports in the simplest way! On the occasion of the XVI World Summit of Nobel Peace Laureates, organized for the first time in Bogota, Colombia, from 2 to 4 February 2017, the first Act for What Matters MOU was signed between Peace and Sport and the organization “Fútbol Con Corazón” based in Barranquilla, Colombia.Through its project “One Goal for Peace”, Fútbol Con Corazón aims at using the power of soccer to promote positive values and life skills among children and youth, as well as a culture of peace and non-violence. 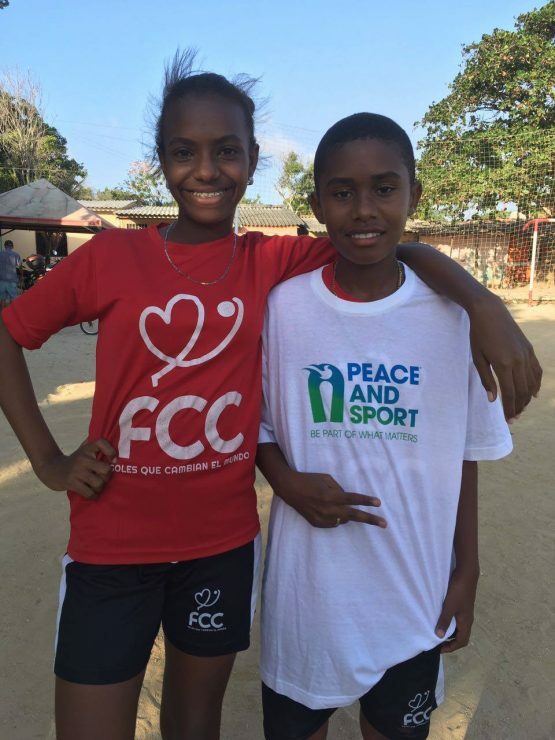 “Peace and Sport is pleased to keep supporting sport for development and peace field-programs in Colombia. The MOU with Futbol con Corazon aims at improving children’s lives in such vulnerable areas of Barranquilla.” Mr. Joel Bouzou, Founder and President of Peace and Sport mentioned after the MOU was signed with Fútbol Con Corazón in Bogota. The next official visit and MOU signage will be with PROMO JEUNE BASKET in Goma, Congo Democratic Republic in the coming weeks!